My apologies to those of you who visit my Face Book page, (Keith Salmon – Scottish Landscape Artist) as you will already have seen images of this recent painting. For anyone else though, this is the very latest of my paintings ….completed earlier this week. Over the last month or so I’ve completed four paintings all based on a walk / scramble we did on Ben Lui several years ago. 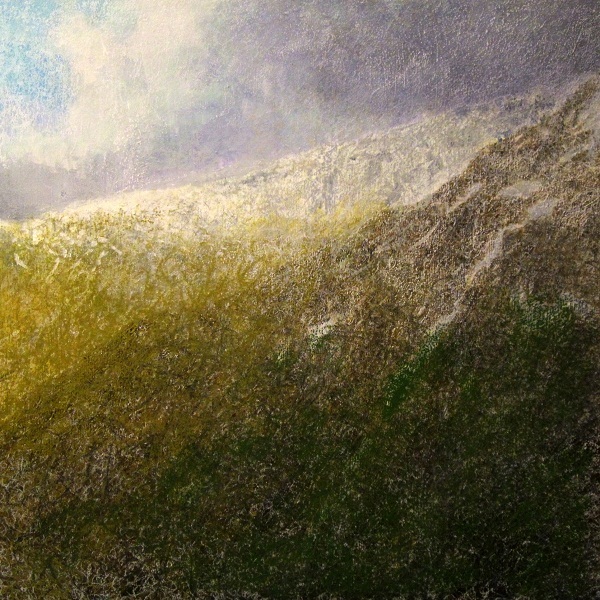 This piece tries to capture something of the descent from the higher snow covered east ridge back down into the more friendly grass covered glen below. This painting is currently hanging in my studio along with around 20 other pieces. If you’d like to see this and the other works, do visit my studio. >> Next Post: In need of a good wall!